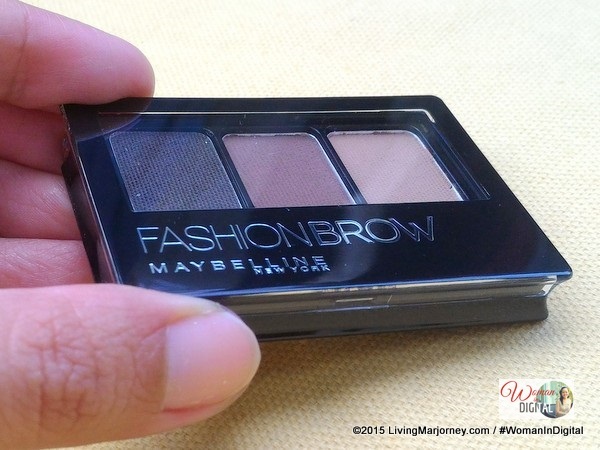 I've been wanting to get an eyebrow palette so in my recent trip at Watsons, I dropped by at the Maybelline Philippines kiosk and asked the beauty consultant what's the best eyebrow palette she could recommend. 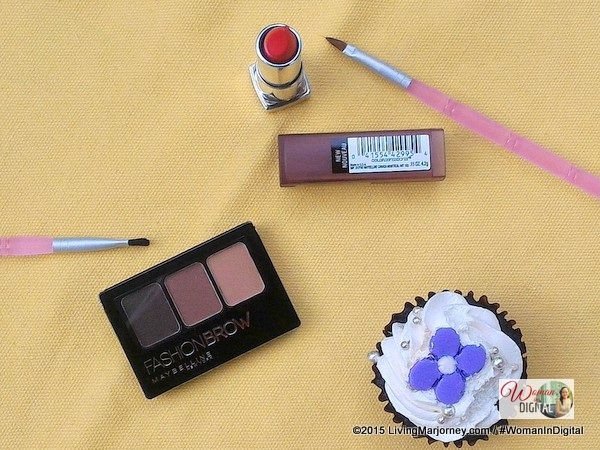 I chose Maybelline Fashion Brow (P299), the 3D Brow and Nose Palette in dark brown. 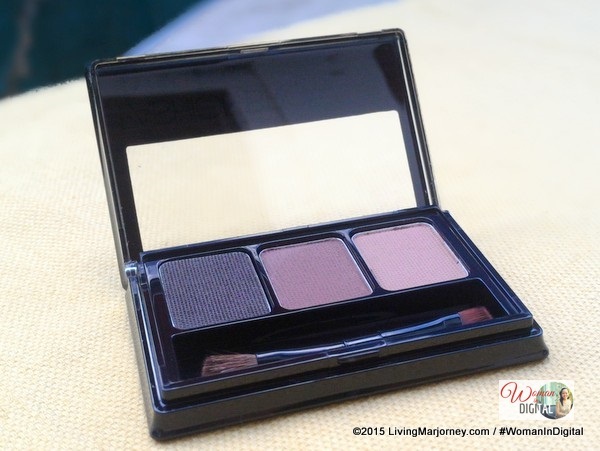 It has three shades - black, dark brown and light brown. First, apply the black shade, following the contour of the brows. Then finish it with the light brown shade. It's not easy to do the eyebrow yet it's fun just practicing it everyday. I like how cute, small and handy this Maybelline Fashion Brow 3D Brow and Nose Palette so I could carry it every time I have a whole day schedule. I also bought Maybelline's Siren in Scarlet Matte red lippie (P199 on sale). 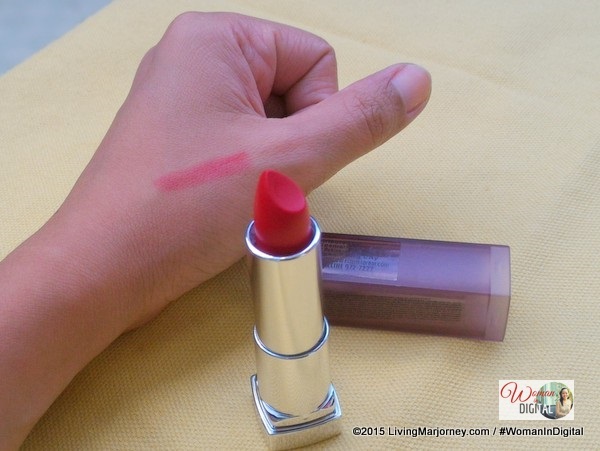 I'm a fan of red lipsticks, so this Maybelline lipstick in scarlet siren is my current favorite lipstick shade. It would last several hours especially if blended with another shade. Maybelline Philippines makeup products are affordable. They are available in leading department stores and beauty shops such as Watsons. 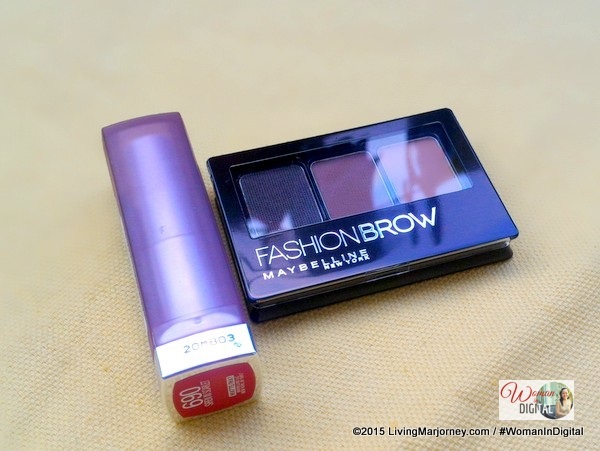 Have you tried Maybelline's Brow Palette and Maybelline Scarlet lipsticks? What's your favorite shades?